This week was pretty busy so I wanted to make a really easy, healthy and delicious meal that would be able to feed both me and my husband for two nights. Throwing veggies, beans, and whole grains into a pan and baking it seemed like a really good way to accomplish my goal. I also wanted to do a vegetarian dish because 1) I love vegetarian dishes, 2) Adding meat seemed like an unnecessary extra step, and 3) My friend Stephanie is a vegetarian who loves casseroles/bakes and is always looking for healthy recipes…so this recipe was partly for her. 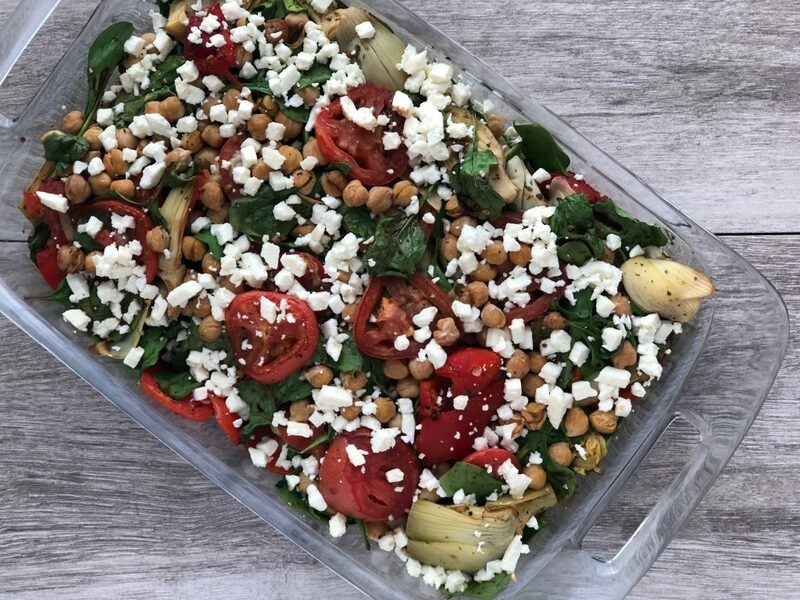 I chose to use mediterranean flavors in this recipe because I love them… annnnd I also happened to have a can of artichokes in my pantry I wanted to use. 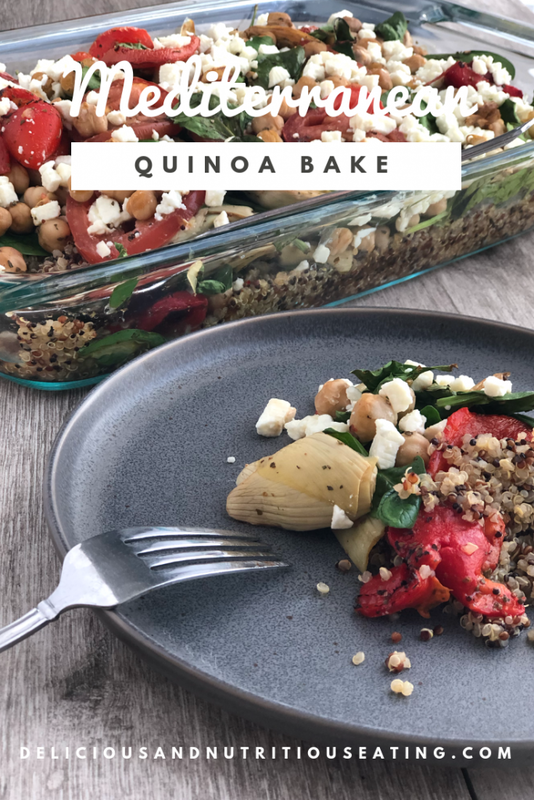 So if you like easy healthy recipes, veggies, chickpeas, and quinoa, this recipe is just for you. Cook quinoa according to package directions and preheat oven to 350 degrees. 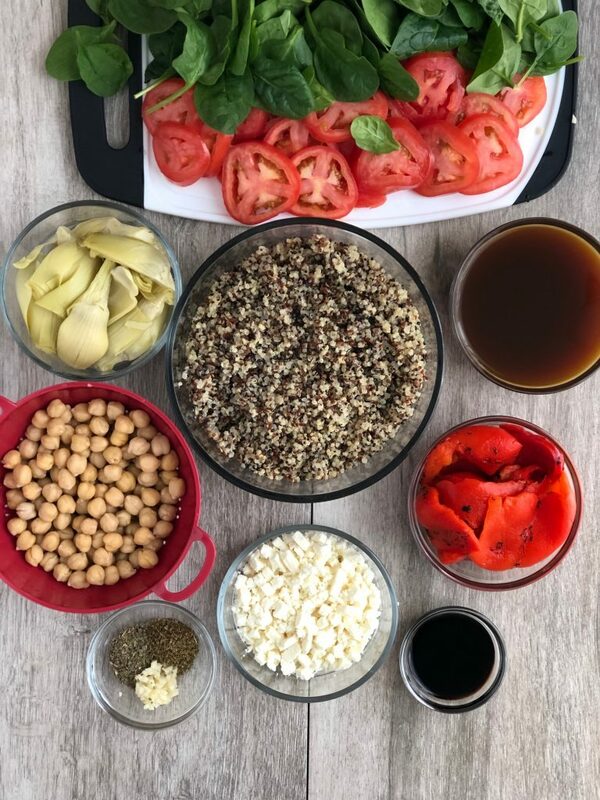 While quinoa is cooking, add remaining ingredients except for feta cheese and balsamic vinegar to a large mixing bowl. Toss ingredients together mixing well. After quinoa is done cooking, spread quinoa evenly in a 9×13 inch glass baking pan. Top with veggie mixture. Cook in oven for 20 minutes or until veggies are warm and soft. Remove from oven, sprinkle feta cheese and drizzle balsamic vinegar over the top of casserole. Place back in oven for about 5 more minutes until cheese is warm and slightly soft. Remove from oven and serve. Enjoy! 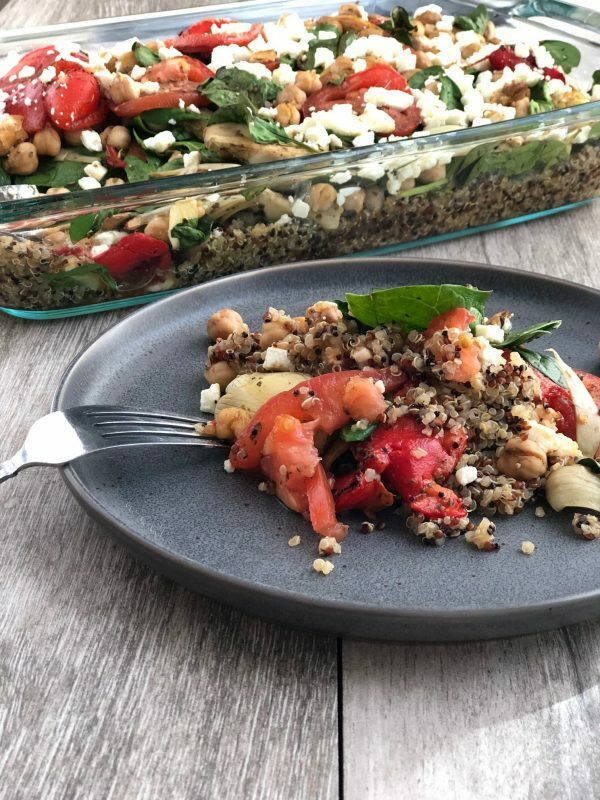 Amazine Mediterranean Quinoa Bake,,,Delish and Nutrish! !